One of the thrills of making jewellery is that it gives you a chance to become an important part of the life of a complete stranger. A while back I had an email from a lady who wanted me to make a special piece of jewellery as a wedding gift for her husband to be. 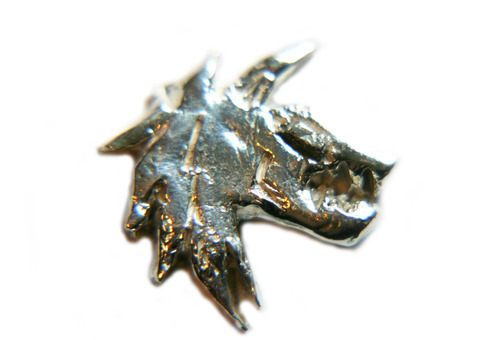 He was a fan of a role playing game called Warhammer - and she wanted a piece of jewellery with a SPACE WOLF symbol. I can’t claim to be an expert in the game or symbolism of the Space Wolf, but was happy to help! This is the initial image she sent me, and we discussed various ideas. 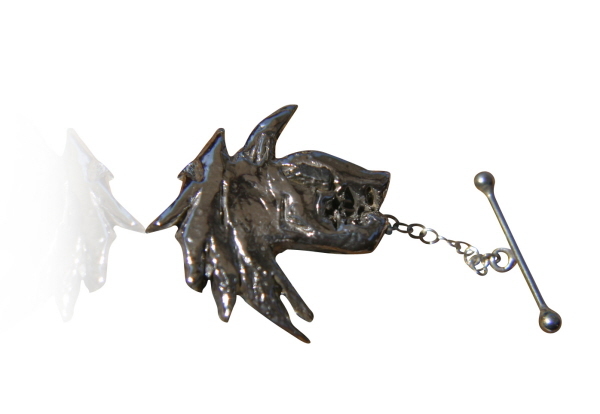 In the end it was decided that I should make a solid silver Tie pin with the Space Wolf head as the symbol. I could have used the border, but it would make the pin rather large and heavy so left it off. This is the initial sketch I drew for the piece, and the customer was happy with the idea. I always try to give as many options as possible, partly so I KNOW the customer has as some input into the final piece. I made up some images that included coloured enamel sections. The customer decided to keep things simple and went for the Space Wolf without any extra colour or embellishments. 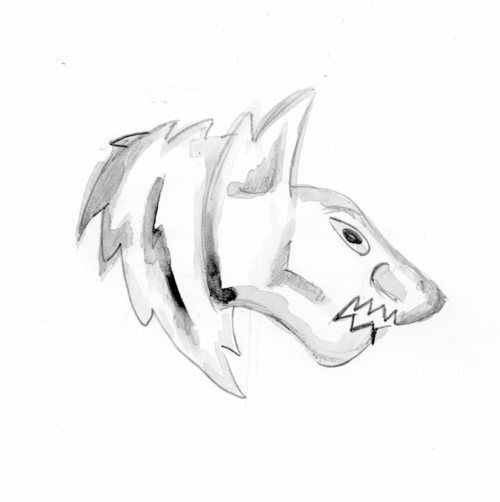 The only thing I added - which was in keeping with the Space theme was a fragment of iron meteorite as the Wolf’s eye. I worked on the tie pin, and agreed on which fittings to use, and the box she preferred - and before long the piece was finished! I posted the Wolf off to the customer, and she kept it until their Wedding. I eventually found out how it was received - and this is the message I got from her. 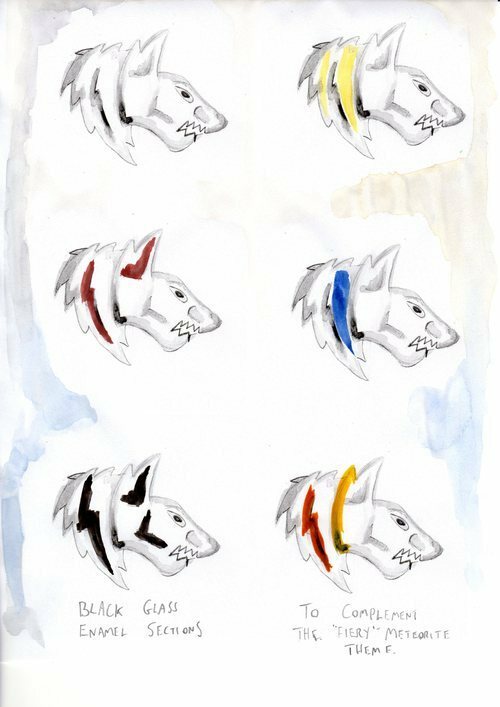 I have given the wolf and he loves it, i don’t think there are many days since i gave it that he hasn’t worn it :o). I loved how you put it all together with the other bits and the box it looked amazing, the bits that came with it have been looked at nearly as much as the wolf. He was over the moon when he saw it for the first time and i have to say a huge thank you for working with me and makeing me the most perfect wedding gift to give. I love receiving emails like this, and delighted that it was was so well received! If anyone would like to commission anything do get in touch.